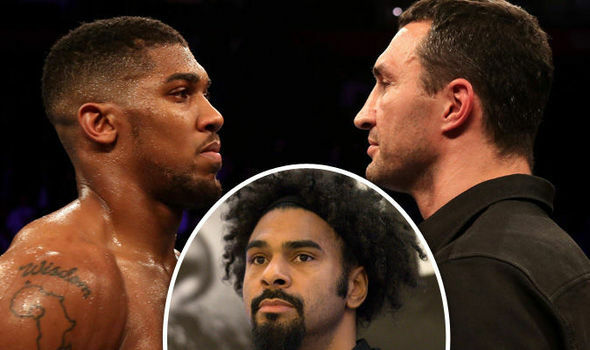 Ring News 24Boxing News Breaking Boxing NewsHaye v Bellew And Joshua v Klitschko – Which Is Your Preference? Anthony Joshua and Wladimir Klitschko came together earlier today at Wembley in London for their first press conference to promote their April 29th unification battle. Both boxers were on amicable terms but there is no doubt that they will bring the business in April next year, with the winner getting both the IBF and WBA crowns. A couple of weeks ago David Haye and Tony Bellew exchanged a war of words and they will box on March 4th to, no doubt, what will be a full house at London’s 02 arena. There was really no comparison between the atmosphere between either press conference. One contained an aura of cautious consonance while the other was strained and full of conflict. The aim of press conferences is to promote fights and persuade the public to part with their hard earned cash. And for the most part, they achieve that aim successfully. But do they tell the whole story? Anthony Joshua and Wladimir Klitschko let the audience know that their April 29th fight is definitely on. There will be no title on the line when Haye and Bellew do battle. The bout is more about pride and ego. And of course, money. And to the ignorance of the more casual defender of the sport, there are concerns about the difference in physical attributes between the two that is probably tipping the fight in one boxer’s favour. Bellew has never fought at heavyweight before and is factually a lot slower and more inefficient in defence, particularly when he is on the offence. There may be those that will suggest that the experience of Wladmir Klitschko will be the main factor in a win for the Ukrainian. But the fight has more going for it than that! Sparks flew at the David Haye v Tony Bellew press conference. As well as there being two trinkets that will be ready to be reunited, the physical traits of Joshua and Ukrainian Klitschko are pretty similar. Although the Brit has far less experience, Klitschko did not box at all in 2016 and may evidently be a little ring rusty by the time near the end of April, 2017 roll around! He will also have turned 41 by then, an age in which a boxer is considered to be entering the “granddaddy” phase of his career and life. The Olympian is still fresh after still having had only 18 bouts, three of which have already been title contests. If Anthony Joshua wins then that will be considered the passing of the baton, so to speak. If Wladimir Klitschko wins then he will be the first Ukrainian heavyweight boxer to have won the championship three times. Either scenario will be a cheerful story. So, when one looks below the surface of things it is pretty easy to tell which contest has more authenticity! All the hoopla in the build up of a fight can be akin to watching a promising trailer for a movie but the feature falling short of what was appearing assuring. That is what this writer fears when thinking about the Haye v Bellew event. And although today’s press conference consisted of mainly smiles and handshakes, the psychological makeup of a boxer is quite complex which can mean that their actions are not often predictive of what is to come. The Wembley stadium at night. On a more superficial level, you have one current former Olympian turned professional heavyweight champion facing a former undisputed, 9 year reigning champion who suffered one points defeat in an approximate 108 month time span. Even the most basic of followers would know this. 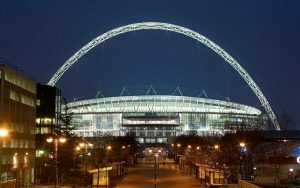 And that alone should be enough to convince those which event that they should be gunning for even though it is almost a certainty that the goal of filling up the entire 90,000 capacity at Wembley stadium is more a probability than a possibility. Just keep that last part to yourself if you happen to bump into Carl Froch.